Category: Condiment. 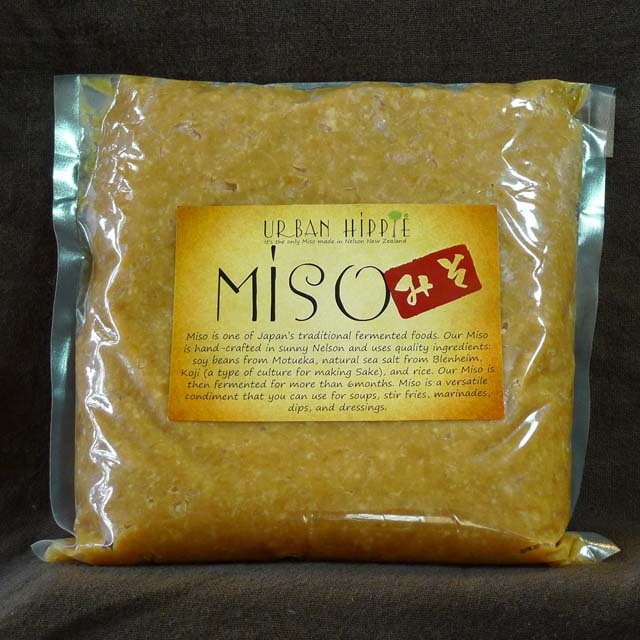 Tags: Enzyme, GMO free, Marinade, No MSG added, Salt, Shio Koji, Umami, Umami Salt, 塩麹. 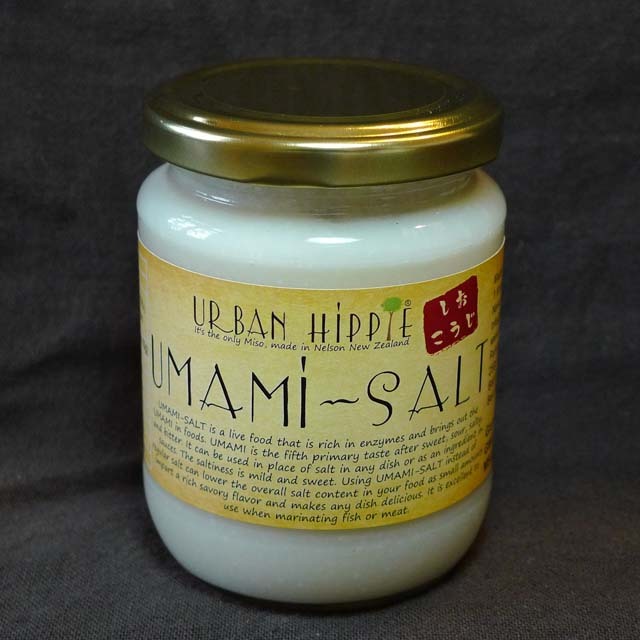 Umami Salt (Shio-Koji) is a live food that in rich in enzymes and brings out the UMAMI in foods. Umami is the fifth primary taste after sweet, sour, salty, and bitter. It can be used in place of salt in any dish or as an ingredient in sauces. The saltiness is mild and sweet. 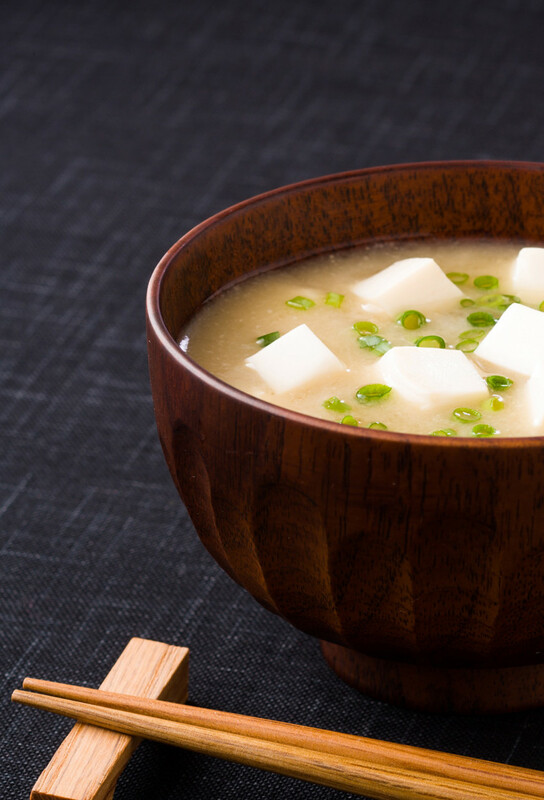 Using Umami Salt (Shio-Koji) instead of regular salt can lower the overall salt content in your food as small amounts impart a rich savory flavor and makes any dish delicious. 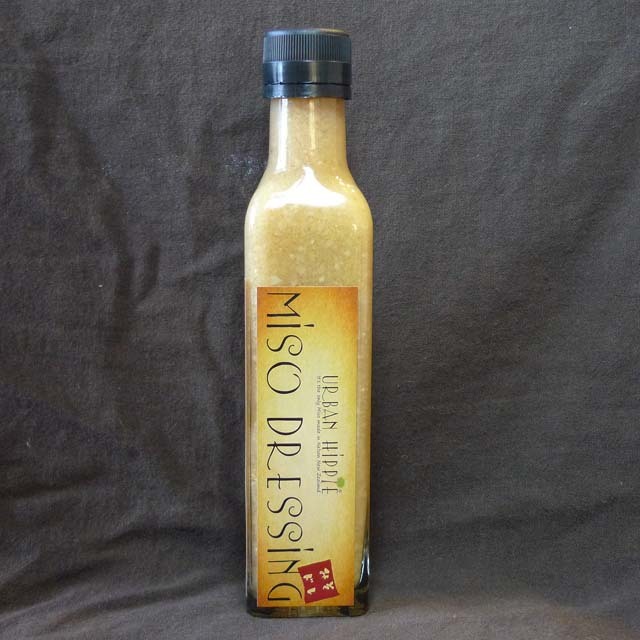 It is excellent to use when marinating fish or meat. 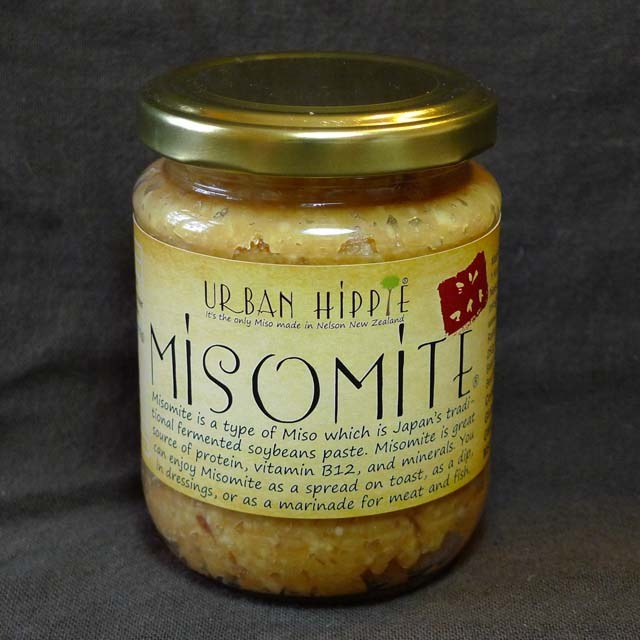 No MSG added, GMO free, Unpasteurised. 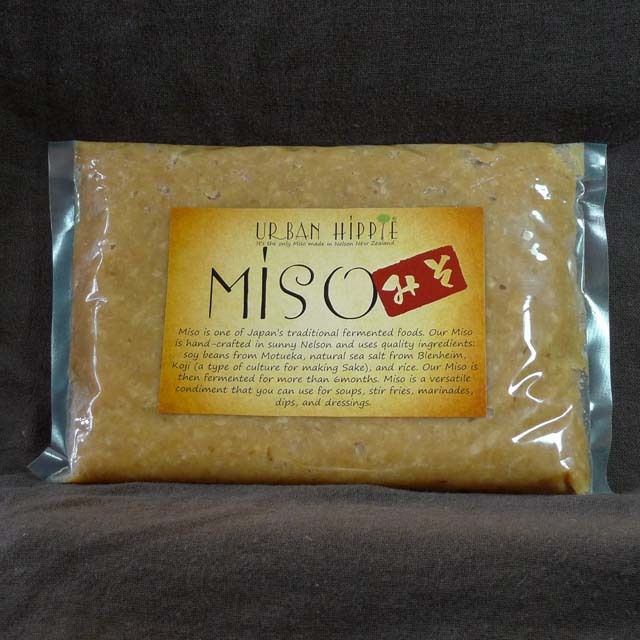 Ingredients: GMO free rice (42%), Water (42%), Organic Sea Salt (14%), Alcohol (2mL/100g), Koji (Aspergillus Oryzae), Nisin.